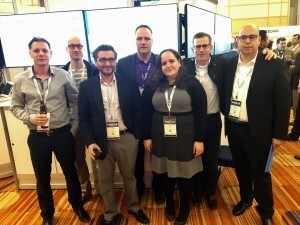 At the MEF16 conference in Baltimore, Viavi partnered with three Tier 1 Carriers and a software orchestration vendor to execute a demonstration as part of the MEF Third Network Proof of Concept (PoC) Showcase. We competed against 13 other PoCs for the top honor—and came out ahead. 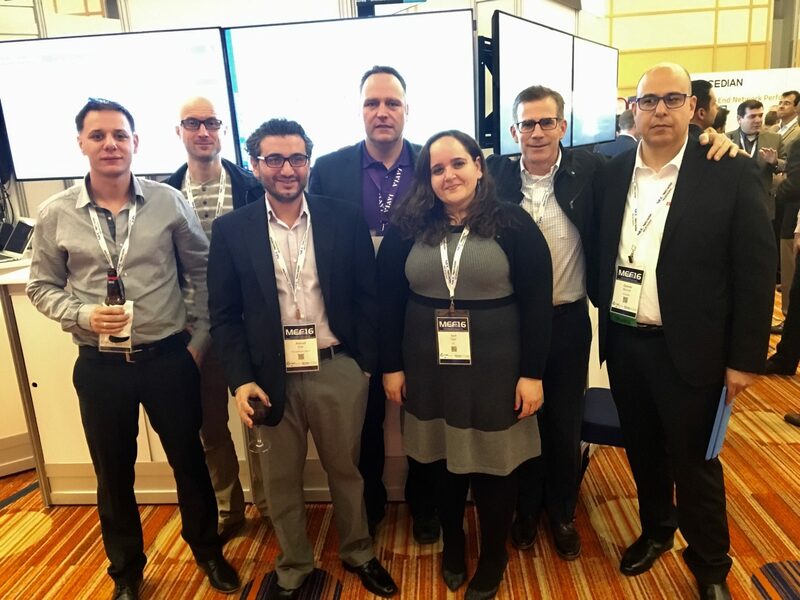 The winning team is pictured here from left to right: Ilia Chernov, ECI; Dariusz Sliwinski and Ahmed Khalil, Tata Communications; Christian Illmer, Viavi; Sarit Tager, ECI; Ken Countway, Comcast; and Daniele Mancuso, TI Sparkle. Our PoC showed how an end-user could go to a web portal, select a service from a drop-down menu, establish a secure network connection from Baltimore through three carriers into an AWS data center in Frankfurt, Germany, get it tested, activated, then decommissioned—all via software automation tools and no human touches. Viavi had virtual, software-based test agents deployed in VMs at both ends of the connection that allowed for service activation testing and performance monitoring once the service was up. The PoC demonstrated how virtualized technology enables automatic service activation and performance tests remotely without human intervention. We demonstrated that by coupling the core virtualized network functions with the virtual test functions that support them, service providers can build automated network testing into activation workflows. Virtualizing the test function also dramatically reduces the time it takes to identify and address problems, assuring a high level of customer Quality of Service. When NNIs (connections) between three network providers had been established, a simple ping test was run between Frankfurt and Baltimore. At first glance it appeared that the network was up. Then Viavi ran more sophisticated bit-error-rate tests and noticed that although the connection was in fact up, it was experiencing a 15% packet loss (which was determined to be caused by buffer settings on one of the carrier’s routers). For the purposes of the demonstration, 15% packet loss was not a problem, but if that circuit had belonged to a paying customer—it would be a problem. Simple ping tests are not enough, whether in a legacy or virtual network. The MEF Showcase was an excellent manifestation of Third Network principles in action across 4,000 miles of live network connections and three carriers. While MEF does not disclose why one PoC was chosen over another, I suspect that our victory was because our demo best illustrated the power of the Third Network—and in our opinion, the increasing importance of reliable testing as networks evolve. Learn more about Viavi’s EtherASSURE and our Metro solutions.